Consultzone is a Consultancy, Advisior, Corporate, Business Agency & Multipurpose Landing Pages Template. 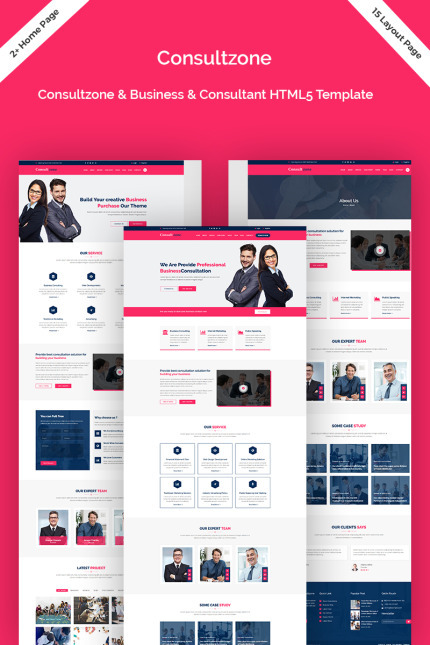 It Suitable for consultancy, advisor, corporate, business, agency, creative, finance landing pages template. There have unique design and clean code for easy to customize. The template is fully responsive for any browser and any device. The template is looking very good and unique design. There have some of unique demo and others pages. Just take the best Template of your choice, change the text, add your images and done! Consultzone is fully responsive and built with bootstrap framework, be sure that it will fit any viewing device.